The ideal candidate will be a special educator who is fluent in Hebrew and will have expertise in teaching students with diverse learning needs to read Hebrew accurately and fluently, to improve their vocabulary acquisition, language comprehension and written expression in Hebrew. The Hebrew Learning Specialist will play a leadership role in our Judaic Studies Department, collaborating with teachers and providing ongoing professional development in differentiated instruction. The Learning Specialist will be part of a team of other special educators that work at the School through the Educational Support Services Department, providing a variety of strategies and interventions to students with diverse learning needs, both in and out of the classroom setting. In addition to providing direct remedial support to students, other responsibilities include design of individualized education plans, case management, and close collaboration with classroom teachers. MA in special education or a related field and three to five years of prior demonstrated experience required; expertise in administering Hebrew reading assessments and data driven instruction preferred. Qualified candidates should submit a cover letter and resume to www.cesjds.org/careers Job Code SE400. The School offers competitive compensation and a comprehensive employee benefits package. Home-based early intervention program providing services to developmentally delayed infants and toddlers of American military families stationed overseas. Master's degree in Special Education, a minimum of two years experience within the last five years working with developmentally delayed children in the 0, 1 & 2-year age population in a home-based early intervention capacity, and a current state teaching license/certification to teach in this capacity. Paid location, health and dental benefits, 401K Plan, generous paid time off, housing stipend. The Invo-Progressus Team has incredible opportunities for Special Education Teachers…or, as we like to call them, Superheroes. If you use your super powers to help ensure that children have access to the best education possible in the least restrictive environment, we would love for you to join the Invo-Progressus team! We are currently hiring full-time Special Education Teachers in Philadelphia, PA for the 2017-2018 school year. Email your resume to careers@invo-progressus.com or call 800.434.4686 to speak with a dedicated Career Services Manager. Substitute teachers are an integral part of education as they provide the classroom continuity needed for effective learning. Source4Teachers, recently named one of Forbes' America's Best Large Employers of 2017, has daily and long-term substitute opportunities each day at the Allegheny Intermediate Unit. In this role, you will provide meaningful instruction to students while the regular teacher is absent. You must adhere to the teacher's lesson plans, maintain a safe and orderly classroom environment, and perform additional duties as directed by school administration. Do you LOVE helping students learn and succeed according to their unique learning style? We share your passion and have an opening for a full time Educational Support/Special Education teacher at our bustling Upper School (grades 9-12) for the 2017-18 school year. Annapolis Area Christian School has been serving Christian families in Maryland since 1971, offering a college preparatory academic curriculum, a competitive athletic program, as well as outstanding fine arts in theater, choral, band, and visual arts. AACS serves more than 900 students in grades PreK through 12th on four separate campuses in beautiful Anne Arundel County. The Educational Support program at AACS is designed to provide additional academic support to students with documented learning challenges as identified through educational testing, response to intervention protocols, individual education plans, and/or 504 plans. Educational Support teachers work closely with students, parents, and the Upper School faculty to facilitate student learning. Candidates should have a minimum of a Bachelor's degree and hold an endorsement or certification in Special Education. The ideal candidate will have a Master's degree in Special Education and a minimum of 5 years of experience working with learning challenged students at the secondary level. Candidates who can contribute to the school community by coaching a sport, sponsoring a club, or in other similar ways are highly valued. Please visit our website www.aacsonline.org for more information about us and instructions on how to apply. The Teacher for the Visually Impaired is responsible for providing itinerant services to students who are served under contract with schools in the Greater New Orleans area. In addition, TVI duties include collaboration with VRS team members to provide extra-curricular activities for skill development through transition, recreation, and summer camp programs. 1. Education: BA in Education or M.Ed. with VI certification from an accredited university. 2. Special Knowledge or Skills: Proficiency with Braille, Assistive technology for the blind, magnification, and adaptations for children with varying degrees of vision loss; Able to screen for referral to O&M services; excellent written and verbal communications; proficient in use of Internet, email, and standard software applications (i.e. Microsoft Word, Excel, and PowerPoint); proficiency with Nemeth code Braille and methods of teaching math to blind students. 3. Experience: At least 1-year teaching as a TVI. Itinerant experience preferred. DCI is hiring full time Special Education Teacher. Please submit your cover letter and resume to resume@dcinternationalschool.org. You will need to pass a background check. No phone calls please. Position Overview: This position entails both instructional and case management responsibilities for providing special education services and supports to students with exceptional learning needs at DCI during the school year. Come for a job, find a family. Where else but Benedictine? Be inspired to come to work every day knowing that you are making a difference in someone else’s life. Our teams of professionals work together to improve the quality of life of adults and children with developmental disabilities by helping them achieve their greatest potential in all aspects of life; school, residential, and vocational. The Teacher provides instruction to students with developmental disabilities in education, vocational, functional and self-help, social-emotional, and behavioral areas. 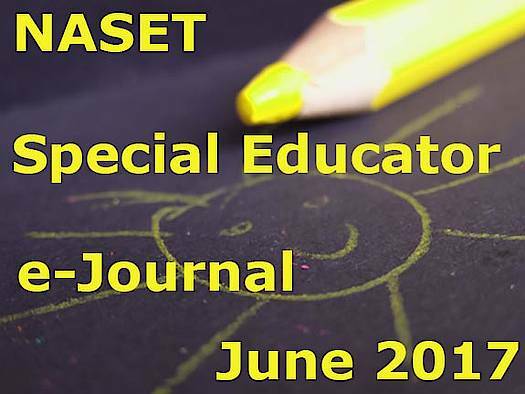 Implement each student's current Individual Education Plan (IEP), with updates as necessary.Supervise students in areas assigned and according to behavioral management plans designated. Evaluate each assigned student’s attainment of goals as stated in the IEP.Submit progress and other reports as required by the school program or requested by School administrators. Implement strategies and provide materials and equipment as appropriate for the population served. Complete, in advance, and maintain lesson plans, protocol and schedules for daily planning. Attend and participates in faculty meetings, interviews, inservice sessions, Parent conferences and other activities as required. Supervise and document performance of classroom staff with follow-up on goals and outcomes of performance/coaching lessons. Administer state testing to students as directed by School administration and submit documentation in a timely manner. Must have Bachelor’s degree and valid teaching certificate in Special Education, meeting the Highly Qualified criteria. A Conditional Certificate, valid for two years, may be requested by the Educational Director for an individual with a BA/BS who does not yet meet the certification requirements for a Standard Professional certificate or Highly Qualified criteria. This individual would be required to meet the requirements for the renewal of the Conditional Certificate until a SPC or APC is obtained and to meet the criteria for Highly Qualified. Classroom experience teaching children with developmental disabilities highly preferred. Must have a passion to specialize in teaching children and adolescents with developmental disabilities. Must be highly organized, creative, and an effective collaborator. Health, Dental, and Vision Insurance; Short-Term Disability, Long-Term Disability, Life Insurance, 403(b) Retirement Plan Dependent Care Benefits, Educational Assistance, Credit Union, Employee Assistance Program. $48,000/school year (185 days). Summers off with year round pay. Special Education Teachers needed in Arizona (Phoenix and surrounding cities). 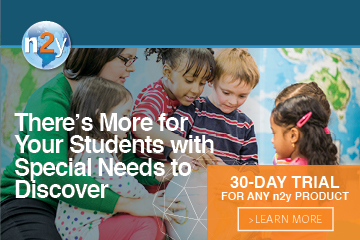 Needs are in the self-contained and resource settings serving students with emotional disabilities (ED), Autism (A), Severe/Profound (S/P), and Intellectual Disabilities (ID). STARS is the largest school contract agency in AZ. STARS is owned and operated by Occupational Therapists. You will be an employee and receive full benefits (see below). With a proven track record, STARS is able to offer you an unbeatable support system and resources. STARS is hiring for the 2017-2018 school year. STARS places Special Education Teachers throughout the Phoenix, Tucson and the surrounding area public schools. Salary: $48,000/school year, based on 185 days. STARS also offers a fantastic benefit package including: 16 weeks off, 100% Company paid Health, Dental, Vision, and Life Insurance, $1,000/year Continuing Ed Money, Paid DOE Certification Fees, Paid NASET Dues, Spanish Immersion trip, Hawaii Trip for two, 401K, 125 Plan, Direct Deposit, Evaluation tools and treatment supplies, Two company sponsored parties with professional entertainment, Company newsletter, STARS sponsored dinner meetings with national/local speakers, Yearly raises, Referral bonuses, Moving $, Birthday gifts and other appreciation throughout the year, Genuine Appreciation. YOU WILL FEEL LIKE A STAR!! !